Add some class and elegance to your next stoneware piece! 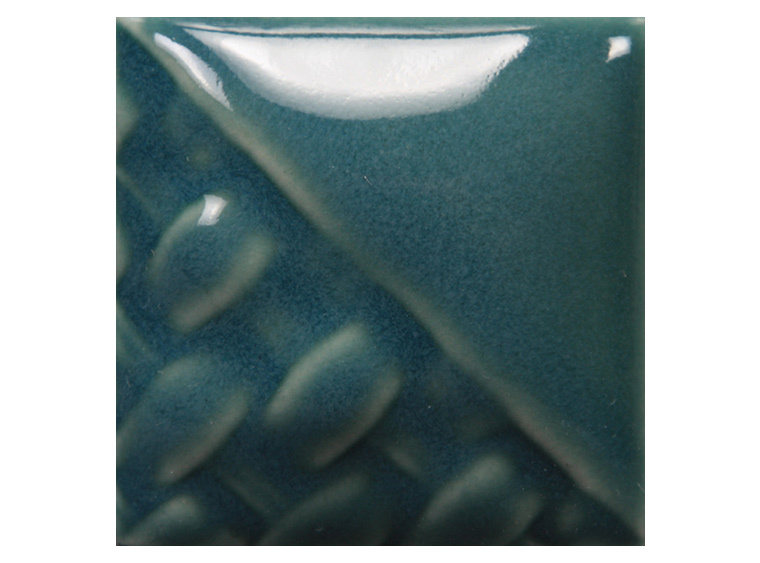 Mayco's Peacock Translucent Stoneware Glaze is a lovely shade of dark teal. Your customers are sure to rave over this beauty! Order yours today! Translucent Stoneware glazes were designed to have a hint of color with 1 coat and deeper color with 2-3 coats. One coat will allow more of the clay body to show through the glaze. Additional coats will deepen the color. Used alone, Translucent Stoneware glazes produce beautiful color variations!